When I first heard about the Roth IRA I did what anyone would do. I googled “what is a Roth IRA.” And I came across article after article telling me all about why I needed a Roth IRA and all the great benefits I would get from it. Google told me that it is an “Individual Retirement Account” and that if I was smart I would open one up RIGHT NOW. Over and over again that’s what I found. “It’s a retirement account and you need to get one because it will make you rich!” If you’ve never heard of the Roth IRA before go ahead, just google it, people are lining up to talk about how fantastic it is. Don’t get me wrong, it’s great. But even after reading tons and tons of articles that people had written telling me all about why I need one, I never really got an answer to my question: What. Is. It? Finally after asking my grandfather to explain it to me in words that make sense, I was able to understand what it is exactly. And hopefully, I can help you understand too. Let’s start with the name. An IRA is technically an Individual Retirement Arrangement, but it is more commonly known as an Individual Retirement Account. There are two types of IRAs: the Traditional IRA and the Roth IRA. The IRA was created in 1974 and the Roth IRA wasn’t introduced until 1997 in the Tax Relief Act and is named after Senator William Roth. Yeah, Yeah, Yeah, But What Is It Really? Think of an IRA as a vehicle. Specifically, a retirement vehicle. It is one of a few vehicles you may own. For instance, you may have a small gas saver for your work commute, but also have the mini van for the family trips. You and your family have multiple vehicles to suit your different needs. In the same way, retirement accounts act as different vehicles to suit specific needs. There’s the 401K, IRA, 403b, Roth IRA, and 457 plan just to name a few of the vehicles out there. Think of these as vehicles that you can use to drive into retirement with. Just like various types of cars, trucks, vans, and jeeps, each type of account has a unique purpose. 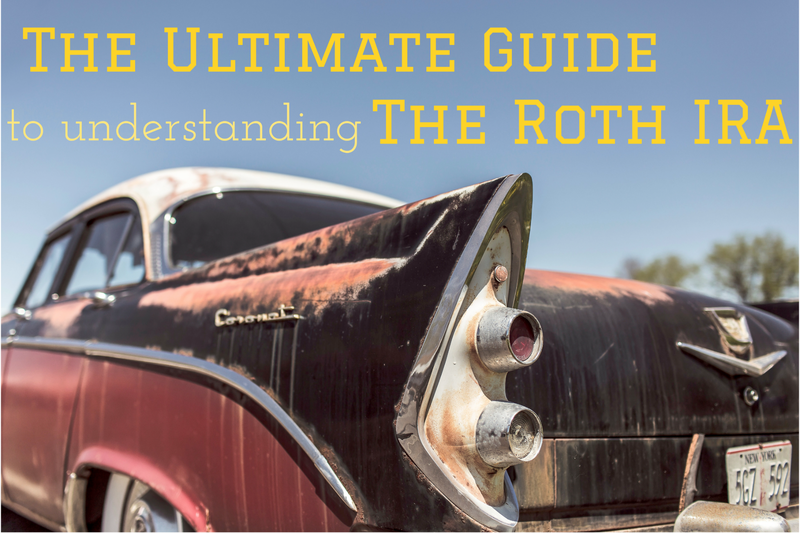 The Roth IRA is a type of vehicle that holds your money, it is NOT an investment. This concept took me a long time to understand. When I first heard about the Roth IRA, I didn’t know anything about investing, so I thought that the Roth IRA was the investment! I know some people may be thinking, “well duh!” But I’m sure that there are probably some people like me who find all of these finance terms confusing. Just remember the big idea is that the Roth IRA is a compartment that holds different types of investments; it is not the investment. Once you choose the vehicle (Roth IRA) that you want to use, then you get to choose the features (investments). Do you want to invest in this stock or that mutual fund? Do you want heated seats or regular? What about automatic or manual? Do you prefer power locks or can you use a key? These are the things you must choose regardless of the vehicle you get. Although trucks and cars are very different, they both can have heated seats, power windows, power locks, jumbo cup holders, and cruise control. Retirement accounts work the same way. You can invest in similar types of stocks, bonds, and other investments regardless of the account. Once you open the account (pick the vehicle), then you can start to decide which investments are right for you (choosing your features). Remember, the Roth IRA is a vehicle that serves a purpose. It is not the investment itself. It just acts like a vehicle that gets you there, but you are free to choose what features (investments) you want inside that vehicle. If you were to invest normally outside of a retirement account. You would invest money that you have already paid income tax on (after-tax dollars) inside of a brokerage account. Then you would pay taxes on the amount you earned every single year moving forward. The advantage of both the IRA and Roth IRA is that they give you tax breaks. But each one has a different type of tax break. In order to fully grasp the benefits of the Roth IRA, you need to understand what a regular or traditional IRA is. A traditional IRA allows you to make tax-deferred contributions to a retirement account. You do not have to pay taxes on interest, earnings, and gains on your investments until you remove the money in retirement. Then you will pay taxes on the entire amount you remove as it is distributed during retirement. The big idea is that you get a tax-write off now and you don’t have to pay any taxes on the money you make until you withdraw it in retirement. Okay, so that’s the traditional IRA. But what’s so special about the Roth IRA? The Roth IRA is a special type of IRA that lets you put after-tax money into a retirement account and then never pay tax again on the interest, earnings, or gains. So the trade off with the Roth IRA is that you don’t get to save money on your income taxes now. Instead, you pay income taxes today but you will never pay taxes on anything it makes ever again. For example, if you invested $10,000 into the Roth IRA and when you retire the account is worth $30,000, you wouldn’t have to pay any taxes on the $20,000 you made! I will explain how to decide between investing in an IRA or Roth IRA in a later post; for now just try to understand the difference. The major benefit of the Roth IRA is that it allows you to save a massive amount of money on taxes. It is especially beneficial for young people early in their careers who are in a low tax bracket. If you’re in your early 20s, you are likely in a low tax bracket, let’s say 15%. That means that you’re going to pay 15% on the income that you’re putting into your Roth IRA. But one day when you retire it is likely that you will be in a higher tax bracket than you are now, let’s say 25%. This means that you are essentially saving an extra 10% in taxes because you don’t have to pay any taxes on the money in your Roth IRA! You also save all of the taxes that you don’t have to pay on yearly capital gains and dividend income. While this is a very simple explanation of how all of this works, it gives you an idea of the power of the Roth IRA. Inside a normal (non-retirement) investment account, you have to pay yearly capital gains tax on the money earned and possibly other investment taxes depending on the state you live in. But with the Roth IRA that money is completely tax-free, so it grows much much faster! The Roth IRA also has a few other benefits that the Traditional IRA does not offer. You can withdraw your contributions anytime without penalty. Unlike most other retirement accounts that charge fees and taxes on early withdraws, the Roth IRA does not if it is part of your contributions. Since you’ve already paid income taxes you can withdraw the contributions at any time without penalty. This is one reason that it’s very important to keep track of how much you have contributed. Just make sure that you don’t withdraw more than you’ve contributed because then you will be hit with a major penalty. While this is not advised since it is money for retirement, it is an option if absolutely necessary. There are no mandatory withdrawals. Traditional IRA’s force people to start taking required minimum distributions (RMDs) at age 70 1/2. The Roth IRA does not require any RMDs at any age and can easily be left to an heir if desired. This is a major benefit for someone who ends up with other suitable income during retirement and doesn’t require all of the money saved in the Roth. You can actually continue to make contributions to a Roth IRA as long as you have earned income and fall inside of the income limits, even if you’re already retired. The Traditional IRA does not allow you to make contributions past the age of 70 1/2. If absolutely necessary, you can withdraw up to $10,000 of earnings to purchase your first house if the account has been opened for at least 5 years. As stated above, I don’t recommend using these funds because it will hurt you in retirement. But it is a helpful benefit for some and also provides peace of mind for people who are hesitant to “lock” their money up inside retirement accounts. You can contribute to a Roth IRA and Traditional IRA for 16 months instead of 12 like the 401k. For both the Roth IRA and Traditional IRA, you are allowed to contribute from January of the year you would like to contribute through the tax due date in April of the following year. This means if you are reading this in 2015 you have until April 2016 to fund your IRA for 2015. You have complete control over your investments, unlike retirement plans that are tied to your company. At your company, you probably have a 401k with a pre-set range of funds to choose from. With a Roth IRA, you can invest in absolutely any stock, bond, mutual fund, investment trusts, CDs, money market accounts, and more. Everyone can have a Roth IRA as long as he or she has earned income or their spouse has earned income. This means that married couples can each have a separate Roth IRA. Not everyone can contribute to a Roth IRA, but I have good news, you probably can. For 2015 if you are single and your modified adjusted gross income (MAGI) is less than $116,000 for the year you can contribute. If you are married and file taxes jointly you can contribute to a Roth IRA if the MAGI for the household is less than $183,000. For more information about what to do if you are outside these income limits check here. The maximum amount of money you can contribute to a Roth IRA for 2015 and 2016 is $5,500. However, if you are 50 years old or older you can contribute up to $6,500. While there is no age limit on contributing to a Roth IRA, the main limiting factor is that you must have earned income within that tax year. You also cannot contribute more money to a Roth IRA than you made in taxable income. For example, there was a year during college where I only made $4,000 in taxable income. That means the maximum I could contribute that year was $4,000 even though at the time the maximum limit was $4,500. There is one exception to the earned income limitation and that applies to married couples. If one spouse makes enough earned income to contribute, the other spouse can contribute to a Roth IRA whether they have taxable income or not. 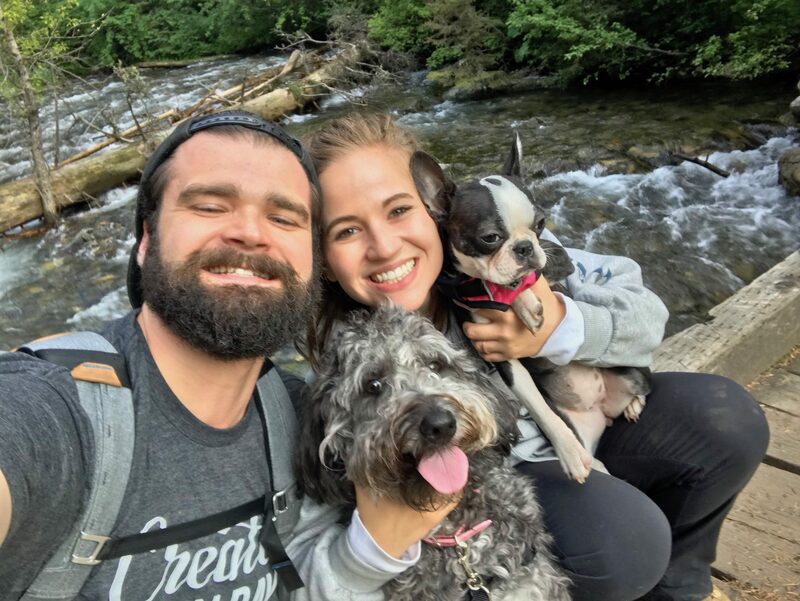 For instance, my wife does not have hardly any earned income while she is in graduate school but we are still able to contribute to a Roth IRA for her due to my income. This means that a married couple can contribute up to $11,000 to Roth IRAs for 2015. The last limit you should know about the Roth IRA is that you cannot withdraw the earnings from the account until age 59 1/2 and if the account has been open for at least 5 years. If you withdraw the money before that you will be hit with a hefty fee and taxes by your good friend Uncle Sam. Just remember, Uncle Sam is giving you a pretty sweet deal here with the Roth IRA, you just gotta play by his rules. So put the money in now and let it grow tax-free until your 59 1/2! A Roth IRA can be opened in a wide variety of places and offers a lot of flexibility. You can open up a Roth IRA at your local bank (which I do not recommend) or at the brokerage firm of your choice. There are endless options such as Vanguard, Fidelity, Charles Schwab, T-Rowe Price, Scottrade, TD Ameritrade, E-Trade, and Trade King just to name a few. You can actually open up multiple Roth IRAs at different places, however, you can still only contribute a maximum of $5,500 per year across all open Roth IRAs. As you will come to learn from reading other posts on my blog, I am a huge fan of passive investing and index funds. Basically, I’m all about keeping investing as simple as possible, while minimizing risk and maximizing return for that risk. I recognize that there are a select (and I mean extremely select) few who are able to actively trade in the stock market and perform well. But for the majority of people, picking stocks is a loser’s game and I will explore this concept in greater detail in a future post. For these reasons, my absolute favorite recommendation for where to open your Roth IRA is at Vanguard. I’m a major fanboy of Vanguard. That’s where I have my own Roth IRA and personally recommend it based on my own experience. Vanguard is credited with creating the first Index fund and are known for having the lowest expenses associated with their funds and accounts. If you have your Roth IRA at Vanguard and invest in Vanguard mutual funds there are $0 transaction costs. When I first started investing, I opened a Roth IRA at Scottrade and they charged me $17 every time I invested more money into a mutual fund. This meant that when I invested $1,000 at Scottrade, I had to pay $17 and therefore, I needed to make 1.7% on that $1,000 just to re-gain the expense before I started making any money. I wanted to invest in Vanguard mutual funds, so why was I paying Scottrade $17 every time I wanted to trade if I could do it for free at Vanguard? So I ended up transferring my mutual fund to Vanguard. Avoid my mistake and just start with Vanguard to begin with. If you plan to invest in mutual funds and not individual stocks, I highly recommend Vanguard. I have used them for years and have had a very good experience. You can expect a post in the future that will go into detail of how to actually open your Roth IRA and fund it at Vanguard. If you want to get started today it’s very easy to open a Roth IRA. All you need is basic personal info that you would need to open a checking account or credit card. Gather information like your social security number, address, bank account numbers, etc. Then visit the Vanguard website to open your Roth IRA. The entire account can be opened and funded online by starting here. You can manage the Roth IRA completely online without having to leave the comfort of your living room. If you would prefer to talk to a real person Vanguard has a phone number that you can reach them at and open the account over the phone. Don’t get hung up on the place to open you Roth IRA; the most important thing right now is to understand what it is and recognize you need one. What Types of Investments to Choose From? As I said before, a Roth IRA allows you to invest in anything that you could invest in through a normal brokerage account. This means you can invest in individual stocks, bonds, mutual funds, and even CDs and money market accounts. Typically I take a holistic approach to investing. Meaning that there is not a one-size-fits-all investment approach. 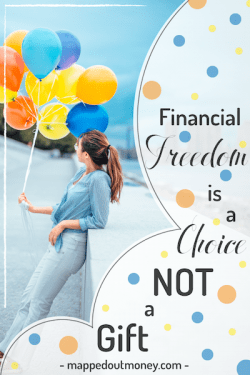 Instead, I believe that personal finance is personal and what works for you may be different for someone else. What you invest in completely depends on your age, how much money you make, how much money you have, what type of lifestyle you want, and how much risk you are willing to take. Generally speaking the more risk you are willing to take, the greater the possibility of a high gain. On the flip side as you take less risk, your chance of return on your money decreases. A good rule of thumb for most people is that while you are young you should be able to take on a larger amount of risk for the greater possibility of higher return. This is because if you are young and if the stock market crashes, you should still have plenty of time for a recovery before you need the retirement money. On the opposite hand, if you are looking to retire in 5 years, you should probably take on much less risk than someone who still has 30 years left in their career. I will explore how to find your risk tolerance and how to pick your investment strategy in a future post. However, if you are totally brand new to investing and want a simple approach that gets you where you want to be, I highly recommend Vanguards target date retirement funds. Basically, this is an all-in-one fund that provides a balanced mix of a U.S. stocks and International stocks, and also bonds depending on how close you are to retirement. This fund also changes the asset allocation to become less risky as you get closer to retirement age. 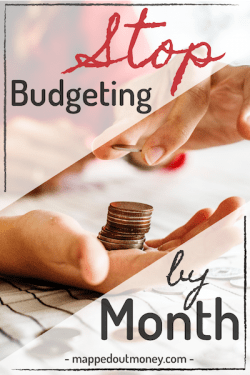 So if you are someone who just wants to have something that they can automatically invest in every month and not have to worry about anything else, this is for you. The easiest thing to do right here is to pick your current age and then Vanguard will take you to an appropriate fund based on how many years you have left until retirement. This is a fine place to start, but in reality there are a lot more things to consider than your age when deciding which fund is best for you. For instance, if you are 35 but have no money saved at all for retirement, you may want to choose the age range for 23-27 instead of 33-37 because you will need to take on more risk in order to make up for lost time. You will need to assess your own situation and choose a fund based on how many years you have until retirement and how much money you currently have saved. If you are young and at the beginning of your career, a fantastic place to start would be with a target date fund for your age range. Once you click on that fund you can go to a detailed fund profile that gives you more information about the fund. For example, the Vanguard Target Retirement 2060 fund requires a minimum investment of $1,000 to start and has an extremely low expense ratio of 0.18%. This means that every year Vanguard takes a fee of 0.18% of all the money you have invested in this fund. This is extremely low compared to many other mutual funds that often have expense ratios pushing 1.00%. 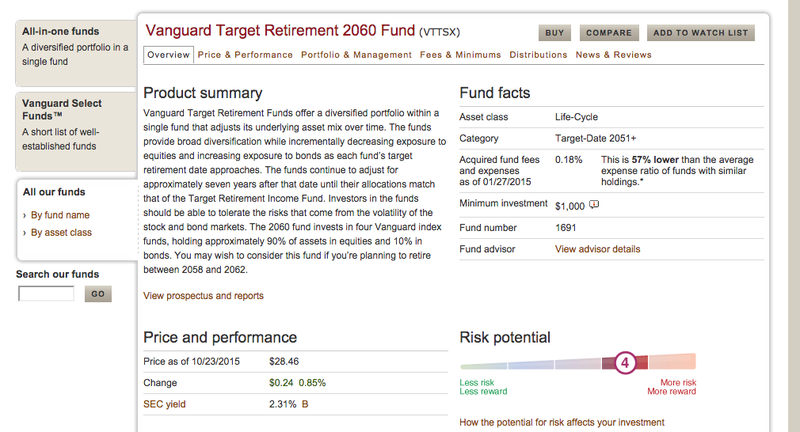 All of the Vanguard target date retirement funds require a minimum opening of $1,000. But don’t let that discourage you. There are plenty of places where you can start for as little as $50 and then transfer later. Or you could start by saving money in a savings account at your bank and then once you’ve built up $1,000, open your Roth IRA at Vanguard. There is no better time to start than right now. 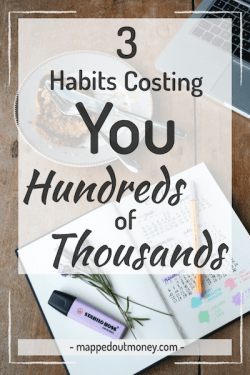 As I’ve discussed previously, the earlier you can start investing, the better off you will be. This is especially important with the Roth IRA because you are only allowed to invest a certain amount every year. By waiting, you are giving up a fantastic opportunity to pile money away tax-free. The very first place I heard about the IRA was in a post by one of my favorite bloggers at mydollarplan.com. Madison had written a post about the 29 steps she took to leave her job at the young age of 29! 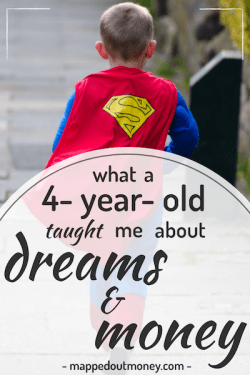 She discussed how she opened her first IRA at the age of 16! This was so inspiring to me that I started researching everything I could and was able to open my Roth IRA only a couple of months later. The sooner you can start, the better it will be, and your future self will thank you! Who knows, maybe you can retire early too! If you have any questions at all please contact me. I want to answer any questions or concerns you have about investing and the Roth IRA!